Venezuela's Maduro Orders US Diplomats out. Mexico, Turkey,Iran, Cuba, Nikaragua, Bolivia, Uruguai, Syria, China, Russia will assist Maduro if the U.S. engages in military action against Venezuela. Nicolas Maduro -President of Venezuela, has ordered U.S. Diplomats OUT of Venezuela within 72 hours. 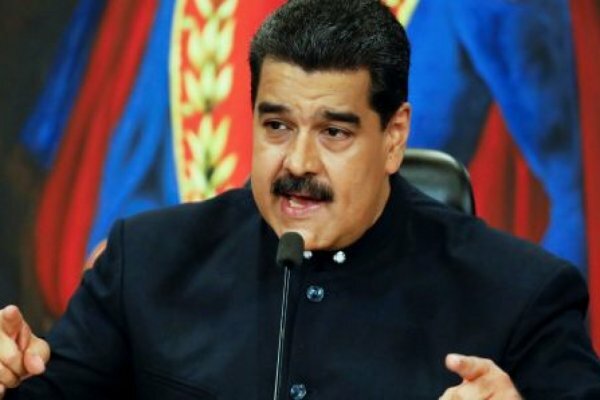 Meanwhile Mexico, Turkey, Cuba, Nikaragua, China, Russia, Iran, Bolivia, Uruguai, Syria, and many others informed Maduro that THEY WILL ASSIST if the U.S. engages in military action against Venezuela. Moscow warned Washington against military intervention in Venezuela saying this would trigger a “catastrophic scenario.” Sergei Ryabkov, Russia’s Deputy Foreign Minister, said Moscow would stand with Venezuela to protect its sovereignty and the principle of non-interference in its domestic affairs. President Donald Trump has said that he does not recognizes Venezuelan leader Nicolás Maduro’s government — and Maduro responded by saying he no longer recognizes relations with the United States. In a Wednesday statement outside his palace in the Venezuelan capital of Caracas, Maduro broke off diplomatic ties with the US. American diplomats now have 72 hours to leave Venezuela. Maduro’s move is a clear response to Trump’s decision earlier on Wednesday to recognize the U|S -puppet Juan Guaidó as Venezuela’s "interim president". Tensions between Washington and Caracas are high — and that they’ll probably increase. There’s a chance the United Nations will hold an emergency session to discuss who the situation . With the military and much of the country’s major institutions and population on his side, there is no incentive for Maduro to step down.